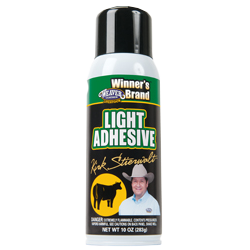 Available in several strengths: light, medium and strong. 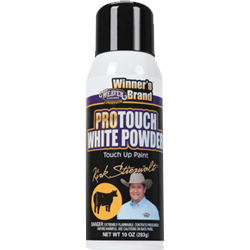 The mild citrus formula of liquid ProRemover effectively removes all show day adhesives and touch up paints. 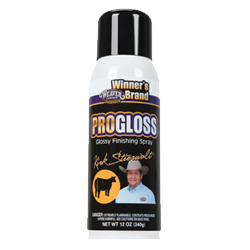 For best results, let product sit 5-10 minutes before washing with Stierwalt ProWash Mild Shampoo. 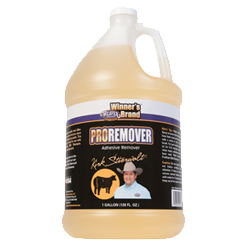 Liquid ProRemover goes further when breaking down multiple animals at once. Great for pulling dead hair follicles from the undercoat for a smooth overall coat, this comb features a 4″ head with 29 evenly-spaced stainless steel teeth ideal for both thick and thin hair. The rounded tips of the teeth are not sharp and will not get caught or pull out the good, healthy hair. Stainless steel teeth. Durable steel “Y” frame won’t bend or break. 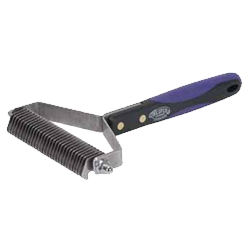 Quality-made from stainless steel, this shedding blade removes loose hair and grime. The smooth side is perfect for sweat scraping and water removal. 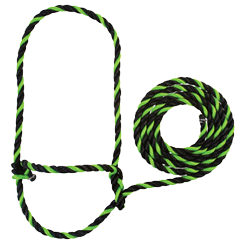 Made from top quality poly rope, this halter comes in a myriad of trendy colors. 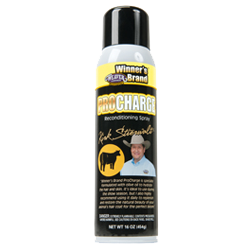 This halter offers the perfect combination of durability and value. Lead measures approximately 7′ long. Cow size. This show halter features a traditional design with a new twist… on-trend gunmetal hardware that offers an updated look. A departure from traditional, shiny silver hardware, gunmetal hardware has a cool, trendy look that stands out in the show ring. Made from classic black bridle leather, this halter features a rounded noseband, rounded cheekpieces, durable corner stays and smoothed and darkened edges. The double crown adjustments have sleek, low-profile buckles for an updated, refined look. Hardware is zinc die cast with a dramatic graphite finish. Comes with a 20″ chain and 36″ lead. Several other styles of show halters available. This Kirk Stierwalt signature halter is a Weaver exclusive! Constructed from black bridle leather with black hardware that blends in with the animal’s hair, this halter does not detract the judge’s attention from your animal’s features. This halter looks great on animals with black or black and white faces and offers a professional look. This halter features a rounded noseband, rounded cheekpieces, durable corner stays and smoothed and finished edges. The double crown adjustments feature sleek, low-profile buckles for an updated, refined look. Hardware is a glossy black finish over steel except for the buckles that have a glossy black finish over zinc die cast. 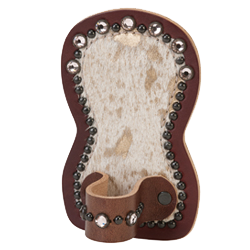 Our show comb holders are taken to the next level with an updated, sleek leather design featuring hair-on hide leather, spots and Swarovski crystal accents. 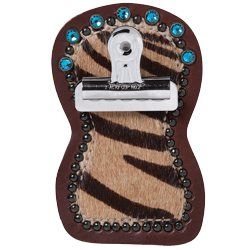 They easily clip to your belt to keep grooming tools close at hand and eliminate awkward handles in back pockets. 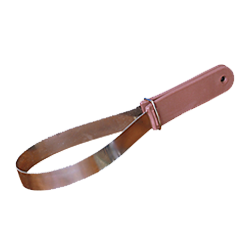 These unique holders coordinate with a variety of our specialty show sticks and number harnesses. Measure 3-1/8″ wide x 5″ high. Displaying an exhibitor number just got more stylish with these designs with hair-on hide leather, spots and Swarovski crystal accents. Easily clips to your belt to keep number visible and secure. Measures 3-1/8″ wide x 5″ high. 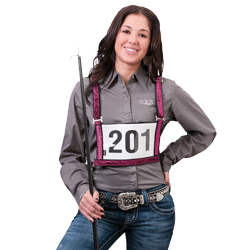 You’ll love the sophisticated style that sparkle overlays add to this exhibitor number harness. Quality constructed from 1″ nylon webbing with adjustable waist and shoulder straps, this harness offers a great fit. A snap on the elastic waist strap allows for easy on and off. Number simply slips into the plastic window pocket. Available in: Youth and adult sizes.